Are you looking for a NJ Manufacturers Direct repair shop in Bergen County, NJ? 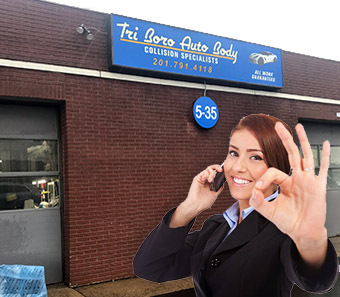 Tri-Boro Auto Body is a trusted and reliable NJ Manufacturers Direct repair shop in Bergen County, NJ, and has been For over 30 years. Our skilled staff has restored accident-damaged vehicles to pre-accident conditions, working directly with your insurance carrier on your behalf. Our auto body professionals have the training, experience, and expertise necessary to promptly get your car back on the road without indication that damage had ever occurred. We serve New Jersey drivers with expert service, affordable rates, and jobs completed without delay. When you require expert hands to restore your car, trust the professionals at Tri-Boro Auto Body. For more information about our NJ Manufacturers Direct repair shop in Bergen County, NJ, call Tri-Boro Auto Body at (201) 791-4118. Tri-Boro Auto Body - Your Trusted NJ Manufacturers Direct repair shop in Bergen County, NJ.